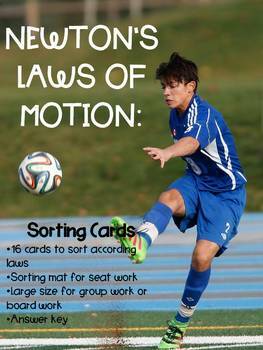 Upper elementary and middle school students can review and practice Newton's Laws of Motion, using these sortable cards. 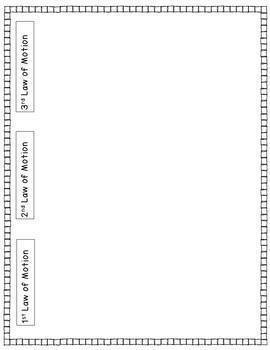 Photocopy the 8 1/2 x 11" sheet of examples and the sorting mat for independent seatwork, homework, study, etc. For small group work, a whole class activity or even a bulletin board, copy and cut the larger cards on bright paper.